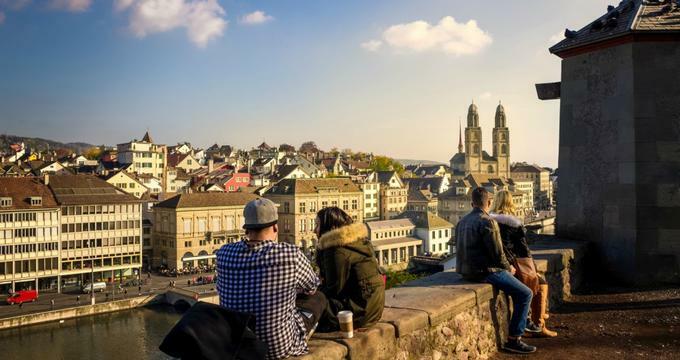 One of the wealthiest cities in Europe and recognized for offering some of the best quality of life in the world, Zurich is filled with amazing sites that attract visitors from all over the globe. There is so much to see here while visiting, with some of the most popular attractions being Bellevue Square, the FIFA World Football Museum, and the Rietberg Museum. 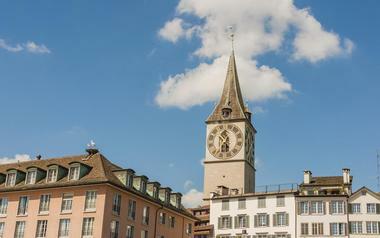 Here are the best things to do in Zurich, Switzerland. The most popular shopping boulevard in all of Zurich, Bahnhofstrasse is also one of the most exclusive and most expensive. Originally constructed as the ‘Station Road’ in 1864, Bahnhofstrasse was reconstructed after the initial fortifications were destroyed. The lively street connects the city’s railway station and Zurich Lake and is filled with department stores and boutiques with many great, unique finds. 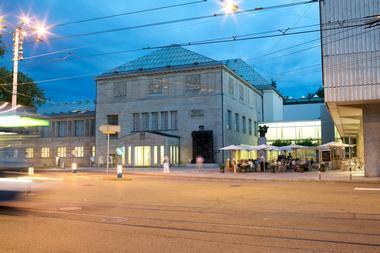 The Swiss banking center, Paradeplatz, can also be found here. Visitors will be able to find everything from amazing art to fashionable clothing while also being able to sightsee riverside. There are several bars and tap houses for visitors to stop at and enjoy a refreshing beer or glass of wine. Bellevue Square was built in 1856 atop a former swampland between Lake Zurich and the river Limmat. The square was named after Bellevue, a former grand hotel, and translates as ‘a beautiful sight’ from French. One of the most famed landmarks in Zurich, the town square and its nearby settlements are listed as UNESCO World Heritage Sites. Visitors can easily explore the stunning square as there are many trams and regional bus lines that go between Bellevue Square and other locations. One of the most famous spots to visit when in Bellevue Square is Limmatquai or Cafe Odeon, but there are other coveted restaurants as well. Best of Switzerland is one of the best-known travel and tour companies among visitors planning a trip to Switzerland. Rightfully so, as the progressive company has extremely high ratings on online sites and is known for its satisfying service. The tour company offers visitors numerous packages based on interest at competitive prices. Each of the tours are guaranteed to have professional drivers who double as tour guides and vehicles that can comfortably accommodate guests and their luggage. There are multilingual guides for visitors who would prefer them. Best of Switzerland also offers walking tours, and one of the most popular is a walking tour through the old town that allows visitors to explore Zurich in detail. 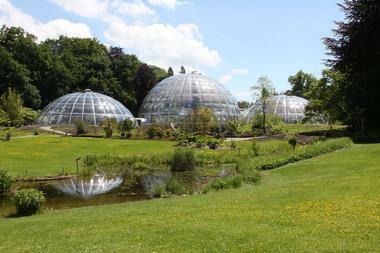 Owned by the University of Zurich, the Botanical Garden is located near the Sihlporte city center. The garden has a very rich, in-depth history, having been designed by Leopold Karl in 1810. Visitors can explore the botanical gardens and the man infrastructures within it, including the tropical glass dome, over 9,000 varieties of plant species, and an octagonal glass pavilion where concerts are held throughout the year. The garden is considered one of the remnants of the baroque fortifications of Zurich, including the glass and wood greenhouse structure which was added in 1951. The garden is open to visitors from April to September and then again from October to March. The Chinese Garden is located beside the lake in Zurichhorn. The structure reflects and symbolizes Chinese culture and the three friends of winter, which are pine, bamboo, and plum blossom. The garden was a gift from the Chinese town of Kunming to express their gratitude for Zurich helping them access a dependable water supply for consumption as well as a drainage system. Visitors can explore the peaceful center, the surrounding garden, and the pond, which has a small island in the middle and is considered sacred. The garden looks like a small palace on the bank of the lake surrounded by blooming blossoms and ginkgoes. The garden is open to visitors from March to October. 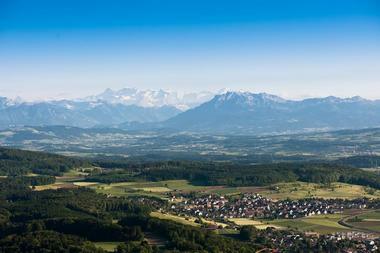 Erwin Tours of Switzerland is managed by a group of people who grew up in Zurich and the surrounding region. Using their combined extensive experience and knowledge of the beautiful land, Erwin Tours creates exclusive and personalized tours that cater to the specifics of each visitor. The tailor-made private tours take visitors from panoramic scenes to regional events to hidden restaurants that serve dishes famed among the locals. Some of the tours go through the lesser-known parts of Switzerland, such as the Alpstein Mountains or the Alp Oersee Stafel, where visitors can see fresh Glarus alpine cheese being produced first hand. Owned and operated by FIFA, the FIFA World Football Museum opened in February 2016 and attracts visitors from all over the world. The museum is housed within three floors of the ten-story Haus zur Enge, which also has a bistro, sports bar, cafe, library, and museum shop. Soccer fan or not, a trip to the FIFA Museum is an exciting one. The museum is filled with exhibits that have memorabilia from every FIFA World Cup ever held, including the FIFA Women's World Cup. One of the most popular exhibits revisits the 2014 FIFA World Cup held in Brazil and brings the tournament back to life with a collection of objects, artifacts, videos, and photographs. Some unique objects that can be seen is Pele's last goal ball for Brazil from 1971, Van Persie's armband, and Miroslav Klose's boots. One of Zurich's' most iconic landmarks, Fraumünster is currently one of the four main churches in Zurich and belongs to the Evangelical Reformed Church of the Canton of Zurich. It was founded by King Louis the German in 853 for Hildegard, his daughter, and was an abbey for aristocratic women. Visitors can explore the converted church building and see the five stunning stained glass windows that were designed by Marc Chagall in 1970. Each window depicts a story dedicated to the prophets, Jacob, Christ, Zion, and Law. There is also a nine-meter-tall stained glass created in 1940 by Augusto Giacometti and a series of frescoes by Paul Bodmer. An independent, non-profit, organization, Free Walk Zurich offers just what the name suggests - free walking tours of Zurich! 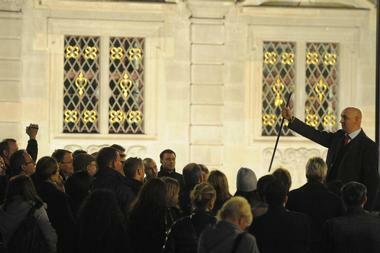 Believing that a good city tour is priceless, there is no cost for visitors to go on one of the 90-minute tours. Instead, visitors can leave a tip of any amount for their guide once the tour is done. Similarly, tours can be scheduled for large groups or during particular times. Some of the tours go through downtown Zurich, Zurich West, Langstrasse, or focus on historical aspects, chocolate, food, or pubs. 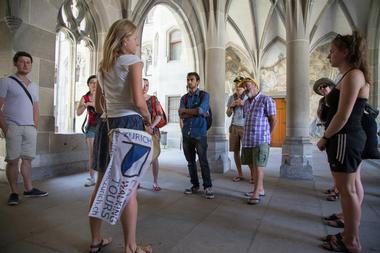 There are special tours as well, such as Zurich by Bike and the Zurich Running Tour. Zurich's most spirited guided tour, the Ghost Walk of Zurich is sure to be one of the more unique and memorable experiences on a visit to Switzerland. Hosted by Dan Dent, a professional paranormal entertainer, the tour takes visitors on a journey through the bloody, the haunted, the bizarre, and the gruesome attractions the city offers. Visitors will learn of Zurich's horrifying past, meet the phantoms these events have left behind, and get caught in a macabre mix based on genuine, documented events. Bringing the dead back to life, Dent retells the history of tragic suicides and foul murder as visitors walk the grounds they happened on. One of the four major churches of Zurich, Grossmünster, or the Great Minster Church as it is commonly known, is a Romanesque-style Protestant church that is a part of the Evangelical Reformed Church of the Canton of Zurich. The church is said to have been built as a monastery over the graves of Felix and Regula, the city's patron saints. Now, visitors can explore the stunning architecture of the building, including the highly recognizable twin towers, the great carved portal, the medieval columns, and the stained-glass windows by Augusto Giacometti, the same artist who designed the stained-glass window in the Fraumünster Church. Historically, Lake Zurich was a popular route for transport and traffic, but now the stunning lake is better known as a vacation spot and has many activities and excursions on the lake and in the surrounding areas. Visitors will enjoy discovering everything the lake offers via a boat trip in the peacefully calm and relaxing environment. There are also different types of boat tours to choose from, including romantic fine dining tours and musical tours. Popular attractions on the lake include the wooden footbridge across the lake from Hurden to Rapperswil, numerous swimming areas, and the lakeside promenade. 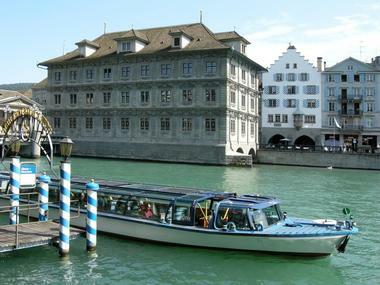 The Limmat River Cruise is one of the most unique ways to explore Zurich’s Old Town, the River Limmat, and Lake Zurich. The cruises only operate from April to October and each tour lasts around an hour. During that time, visitors can see views of the National Museum, the Zurichhorn, and other historical sites that can’t be seen from the land. The river cruise offers some great photo opportunities as well; other sites that can be seen from the cruise ship include Zurich’s town hall, the Lindenhof, and Grossmünster Church. The ships have glass roofs and panoramic windows so that visitors can get the best view of the beauty that surrounds them. Lindenhofplatz, located in the old town of Zurich, is a city filled with history, art, and spectacular views. 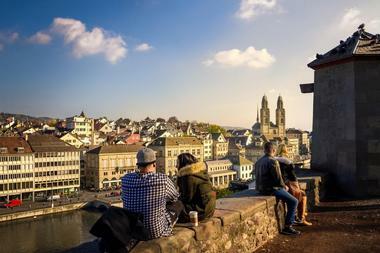 Visitors flock here as it is known for having a stunning vantage point with sweeping views of the Old Town, City Hall, Grossmünster Church, and the Limmat River. Lindenhofplatz is the site of numerous historical events and used to contain a Roman fort in the 4th century and a regal palace in the 9th century. Now, visitors can explore this haven of tranquility and peace, get up close and personal with the amazing architecture, and sit in on a game of chess, for which it is has become popular in the recent past. Housing one of the most important art collections in all of Zurich, the Kunsthaus Zürich art gallery was assembled over the years by a local art association. Visitors can explore a collection of Swiss art from the Middle Ages to more contemporary, modern pieces. The building itself is a priceless piece of architecture that has many preserved interiors that were designed and decorated by one of the original architects, Karl Moser. Works of amazing artists such as Monet, Munch, Picasso, Lipchitz, van Gogh, and Matisse can be found here. An exhibit dedicated to the works of Alberto Giacometti highlights the work and technique of the Swiss artist, the most famed being the 75 original plasters taken from the artist's former estate. 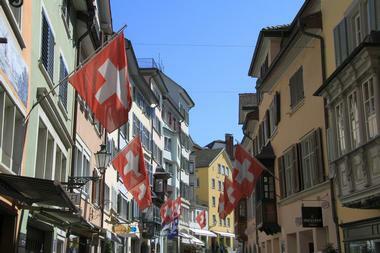 Fondly referred to as Dörfli, Niederdorf is on the most popular promenades in Zurich's Old Town. It's filled with interesting sights, a range of culinary concoctions, and a unique offering of souvenirs and other items. During the day, visitors will love walking around the promenade, going into shops and booths hidden in the alleyways, and having a delicious lunch at one of the many restaurants. 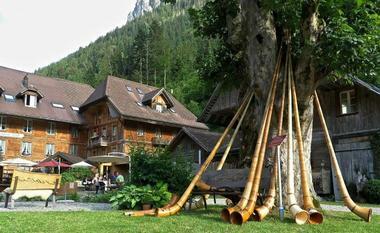 There are many shows, attractions, and events held at Niederdorf as well. At night, the promenade converts to a nightlife district comprising bars, street artists, and everything else needed for a memorable time. Zurich's Old Town is a social, historical, and cultural melting pot filled with anything and everything a visitor would seek on a trip to Switzerland. From the medieval houses hidden in the narrow lanes to the extravagant bars and clubs which make Zurich the nightlife central of Switzerland, visitors will find everything that they need in this one prime location. 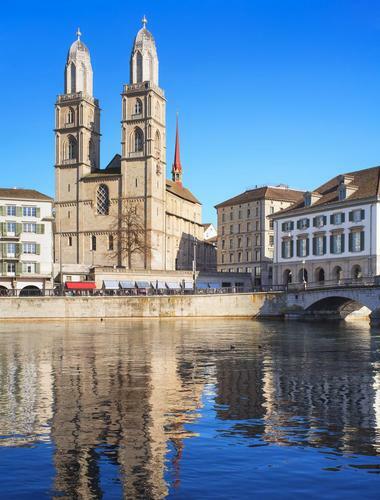 Other than a busy nightlife and the amazing historical architecture, the Old Town also has sights worth seeing, such as the Grossmünster towers, the stained-glass windows at Fraumünster, or Europe's largest clock face at Peter's Church or Peterskirche. Visitors who are looking for souvenirs or want to get some shopping done during their vacation need go no further than the many shopping promenades that can be found there. 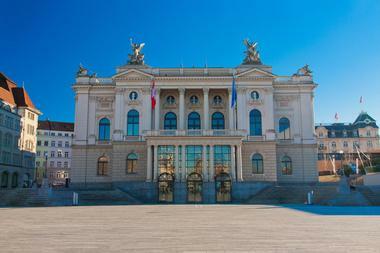 An opera house in the heart of Zurich, Opernhaus Zurich, or the Zurich Opera House, is located at the Sechseläutenplatz, which also is home to the Bernhard-Theater Zürich and the Zürich Ballet. Many events are held here throughout the year, ranging from operas and ballet performances to concerts and other festivals. Visitors can check their website to see what will be available when they intend to visit. Some of the events currently being held include I Puritani, an opera by Vincenzo Bellini, Die Entführung Aus Dem Serail by Wolfgang Amadeus Mozart, and Messa Da Requiem by Giuseppe Verdi. During the December holiday season, visitors can enjoy the Zurich Christmas Village, which is a large Christmas market with over 100 booths filled with unique items and food. Baron Eduard von der Heydt donated his private art collection to the city and citizens of Zurich in the late 1940s. To accommodate the extensive collection, it was decided that the Villa Wesendonck should be transformed into a museum. 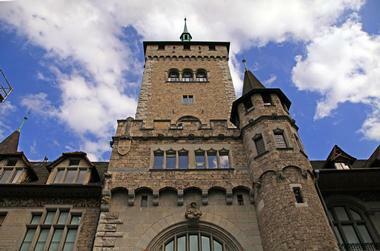 The Museum Rietberg of the City of Zurich opened to the public in 1952. 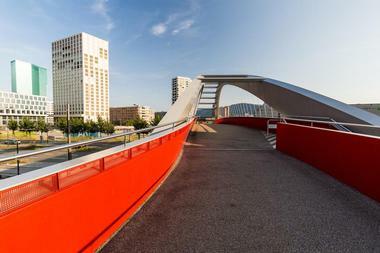 Today, visitors can find an extended version of the original museum, which increased its exhibition space by 125% by adding an underground wing that connected to the original museum without disrupting its exterior. The collection includes masterpieces from around the world, such as a ceramic figure of a Huari dignitary from the Andes, an ikat silk sari from India, and a 3rd-century drinking vessel from the Mayan lowlands. Though the public tours of the museum are conducted in German, visitors can request a private tour in English or in French. There is also a craft studio for children, adults, and families, where visitors can learn more about art and get artsy themselves. St. Peterskirche, or St. Peter's Church as it is more commonly known, is one of the four main churches of Zurich, along with Predigerkirche, Fraumünster, and Grossmünster. The current church that visitors now see was sanctified as the first church constructed under Protestant rule in 1706. Prior to that, a Gothic-style church was found on site in 1460, a Romanesque structure in 1230, and a temple to Jupiter was on the very same place long before that. Visitors will be able to see the largest church clock face in Europe as an 8.7-meter clock face can be found on the steeple. The interior of the church holds much more for visitors, including the remains of a fresco inside the apse, a stunning curved ceiling, Rudolf Brun's gravestone, and a spectacular pipe organ installed by Manufacture d´Orgues Muhleisen from Strasbourg in 1974. 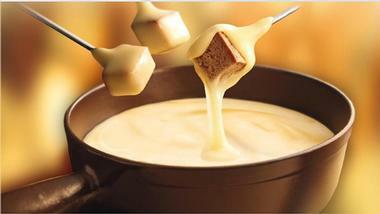 Cheese and chocolate most commonly come to mind when visitors think of Swiss cuisine. Swiss Food Tours aims to show visitors that traditional Swiss cuisine goes so much further than that. The company offers a gastronomical experience that introduces visitors to Swiss specialties, allowing visitors to experience Swiss gastronomy at its finest. The tour visits everyone from small street-side cafes to restaurants which only serve cuisine cooked from old family recipes. Not only do the tours give visitors an opportunity to fill their stomachs with delicious delicacies, it also allows them to meet other travelers, get to know the local geniuses behind the food, and try something they might not have come across on their own. A part of the Musée Suisse Group, the Swiss National Museum is one of the most important art museums of cultural history in all of Europe. The museum building itself, with its impressive architecture of courts and towers, is a work of art that was designed by architect Gustav Gull. Visitors can explore the museum on their own or go on a guided tour which takes them from prehistoric and ancient times to the Middle Ages and the 20th century. Visitors will find an extensive collection of Gothic art, panel paintings, liturgical wooden sculptures, and carved altars. A part of the Albis chain, the Üetliberg is a mountain in the Swiss plateau that rises nearly 2,851 feet. 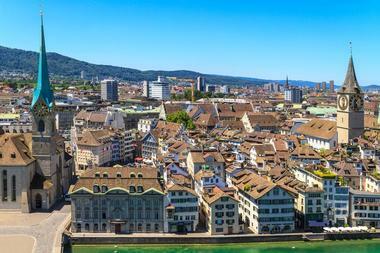 Visitors who go to the top of the summit will be rewarded with a panoramic view of Zurich and the lake. Visitors can easily access the top by train, but can also hike the various walking paths and trails that lead there. There is an observation tower at the top for visitors to access and get a better view of their surroundings and numerous camping spots and water fountains can be found all over the mountain. Zoo Zurich, which is locally known as Zürich Zoologischer Garten or the Zürich Zoological Garden, has been housing a collection of animals since 1929. For nearly twenty years, the zoo was directed by biologist Heini Hediger, also called the "father of zoo biology", and grew substantially during that time. There are over 2,200 animals that call the zoo home from over 300 species. Visitors can explore the many installations, such as the Kaeng Krachan Elephant Park, Masoala Rainforest, and the Mongolian Steppe. 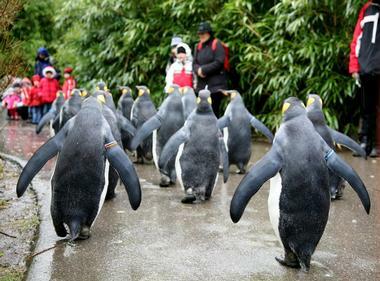 Some of the more popular events are the daily penguin parade and the animal feeding experience. In the recent past, Zurich West was a popular destination for art, design, architecture, and food, making it a trendy district sought out by restaurants and other establishments. The abandoned buildings have slowly been converted from their history as industrial quarters to designer boutiques, market halls, offices, apartments, and trendy bars and cafes. There are also many art studios and venues where visitors will be sure to find some stunning contemporary pieces to take back with them. 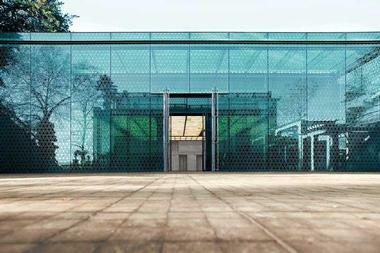 Visitors will enjoy exploring the unique architecture and seeing how the vast spaces have now been transformed. One particular attraction is the 126-meter-high Prime Tower, which is the tallest building in Zurich.